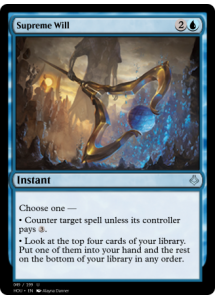 ** Counter target spell unless its controller pays . 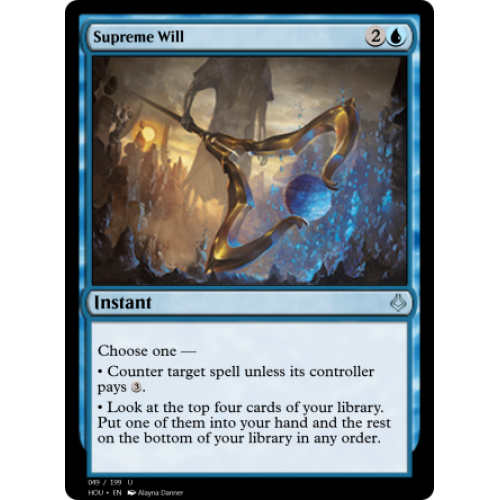 ** Look at the top four cards of your library. Put one of them into your hand and the rest on the bottom of your library in any order.